Navigate individual women into a medical home so that they will gain access to knowledge and resources that will serve them throughout their lifetime. 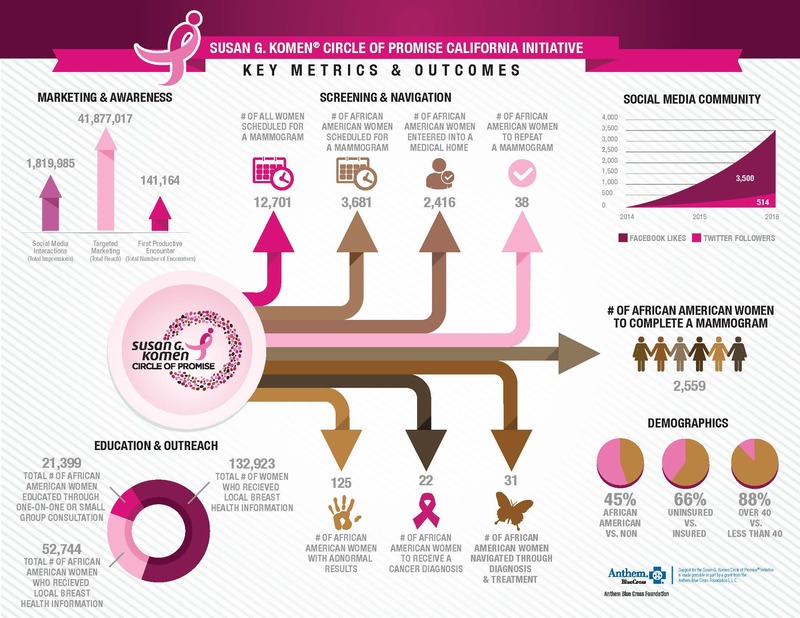 2,559 African American women have completed a mammogram screening; exceeding the original screening goal by 128 percent. 69 African American women have been diagnosed with breast cancer and have been navigated through diagnosis and treatment. 52,744 African American women have received local breast health information. 21,399 African American women have been directly educated one-on-one, or in small group consultations throughout California. Phase two of the this initiative begins January 1st, 2017 and runs through January 2019. As we continue doing this much needed work, we will keep you informed as we fight throughout California for health equity in our African American communities.